New Jersey Democratic Sen. Cory Booker said he wants to overturn the Trump administration’s transgender ban in the United States armed forces “when” he becomes president. 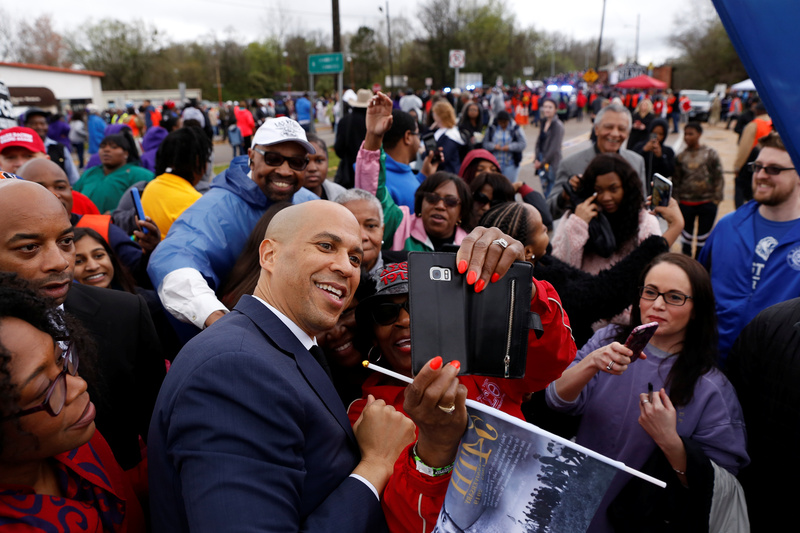 “When I am president of the United States, right away I will end this ridiculous, insulting, un-American ban on transgender Americans serving in the military,” Booker said during a Davenport, Iowa, town hall meeting over the weekend. The senator was asked by one transgender member of the audience about what he planned to do to promote LGBTQ policy if he is elected president in 2020, NBC News reported. Booker been an active opponent of the Trump administration’s transgender troop policy — since the present publicly declared his intention of changing course in 2017. At his Iowa town hall, Booker also promised to repeal other parts of the Trump legacy, including the president’s 2017 tax cuts and his policy of deporting some illegal immigrant children who are brought across the U.S. border by their parents, NBC reported.